If you have an gas cooker with drip pans, remove them (when the burners are cool) and put them in a strong solution of automatic dishwasher detergent in the sink. Check floors, counters, and cabinets for any stubborn spots, such as dried-on food. Spray them with all-purpose cleaner and let them soak. Clean the spill tray underneath the cooker burners by lifting the burners and reaching your hand into the walls with a cloth or sponge where the drip pans were, or lifting up the cooker top. Polish the cooker top, knobs (make sure that you don’t accidentally turn them on), and backsplash with all-purpose cleaner or window cleaner. Scour the drip pans that have been soaking with a nylon scrubbing or plastic brush. Dry them and place them back in the cooker. Move to your left or right around the room in an orderly manner. Carry your supplies with you so you do not have to retrace your steps. Polish appliance surfaces with glass cleaner and paper towels. Wipe doors on the inside and outside. As you go, clean and polish countertops. Pull items forward, clean behind them, and then slide them back. Also, check cabinets for fingerprints and clean them off with an all-purpose cleaner. If you have a windowsill above the sink, wash it. Clean the sink. Use a toothbrush around the waste opening and the lip around the edge of the sink. Polish sink features. Use a toothbrush around handles and the base of the fixture. sweep or vacuum hair from the counter, sink, and floor. Use a paper towel instead of a wet sponge and save yourself the effort of cleaning the hair off the sponge. Spray the bath, shower walls, tile, and shower doors or curtain with an all-purpose cleaner. Clean the soap dish and any chrome fixtures in the shower. Spray a small amount of glass cleaner on the mirror. 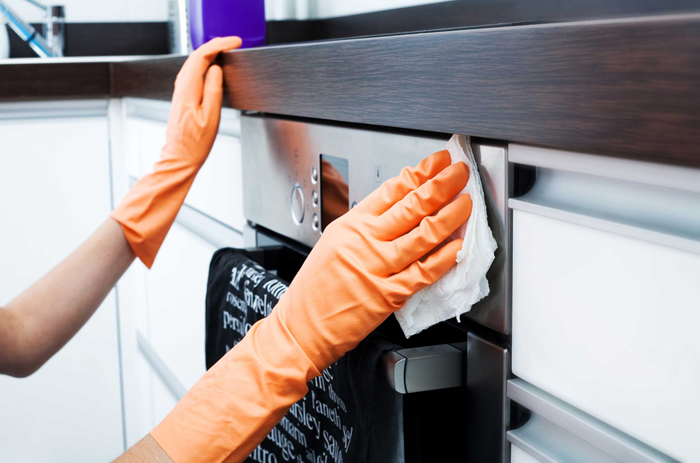 Wipe until it is completely dry to avoid streaks. Spray the sink and counter with cleaner and wipe them dry. Move vanity items to one side, clean the vanity, and then slide them back. Clean the toilet, bowl first. Flush. Put the toilet seat up and spray and wipe each side with a disinfectant cleaner. Clean the cistern, base, handle, and any exposed pipes. Wipe the toilet paper holder. Go around the perimeter of the room. White towel racks, we fold towels, and dust the pictures and shelves. Check for fingerprints on doors and light switches and clean with an all-purpose spray cleaner. Don’t spray the light switches directly – spray your cleaning cloth first, then wipe. Wash the floor and replace rugs after it dries. 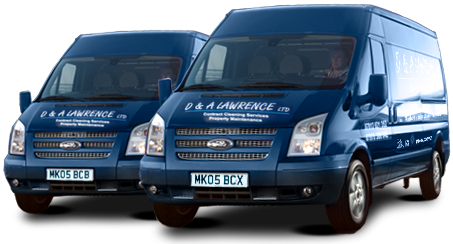 Alternatively call D & A Lawrence on 0131 235 2031 and let the professionals worry about the mess.